Over the pebbles and through the trees, the river flows with the salmon bear. 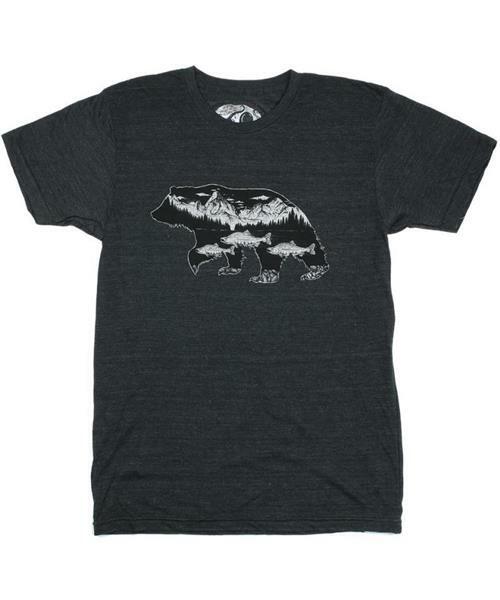 Soft with a worn in feel, you will bearly notice this tee. * Made with combed cotton, giving it a soft, worn in feel, superior drape, excellent color fastness and durability throughout multiple washes.